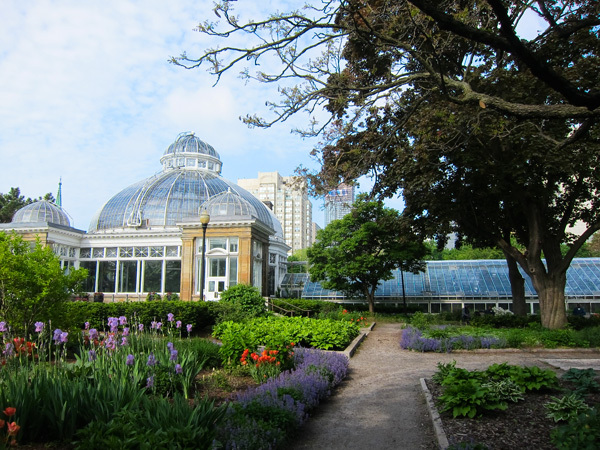 Located in the Garden District neighborhood, this park is one of the oldest in the city and is home to the Allan Gardens Conservatory, a series of six interconnected greenhouses enclosing 1,486 square meters of taxonomically organized botanical collections. The five-hectare parcel is segmented into smaller spaces by numerous linear paths running with and diagonal to the surrounding urban grid. Planted with more than 300 trees, the collection includes black cherry, American beech, sassafras, sugar maple, and red oak, most of which have stood for over a century. 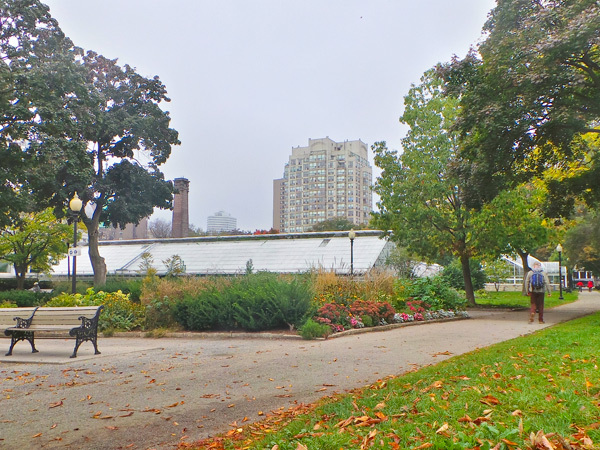 The park originated with a gift of two hectares to the Toronto Horticultural Society in 1858 by Toronto mayor George William Allan. 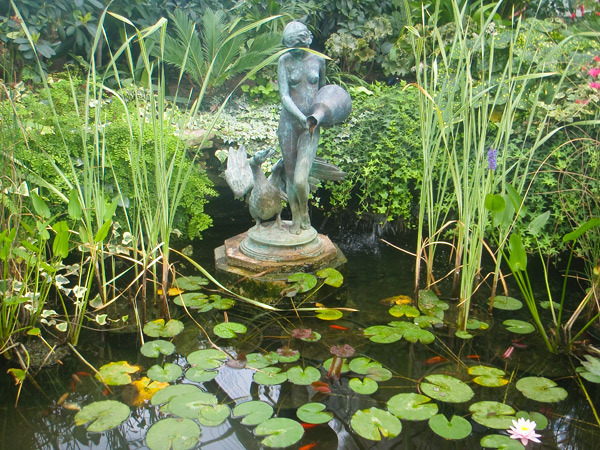 The first horticultural gardens opened two years later against the backdrop of a rustic pavilion designed by William Hay within Picturesque grounds organized from a central plan with meandering paths, laid out by landscape gardener Edwin Taylor, a pupil of Sir Joseph Paxton. 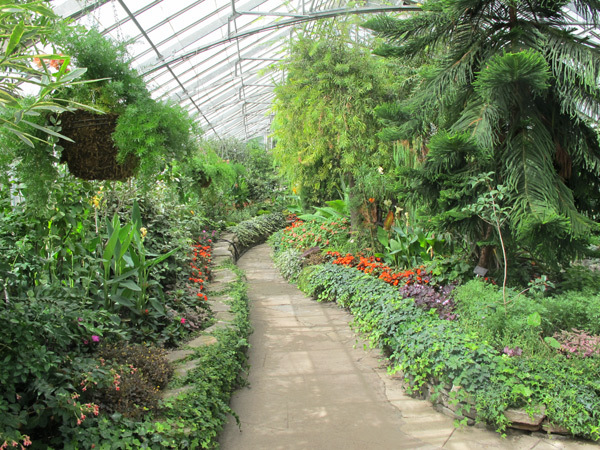 Two additional hectares were purchased from Allan in 1864, and a new iron-and-glass horticultural pavilion and conservatory were opened in 1879. 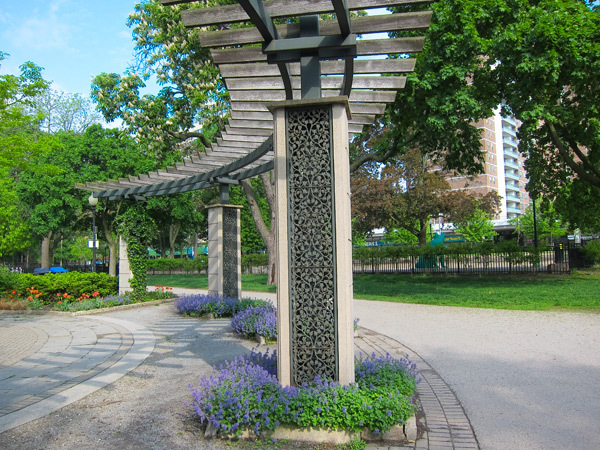 A large, ornate fountain and iron fence were also constructed (the former removed in the 1950s). Fire destroyed the horticultural pavilion and parts of the conservatory in 1902, which occasioned the building of the Victorian glass-domed Palm House, designed by Robert McCallum and opened in 1910. 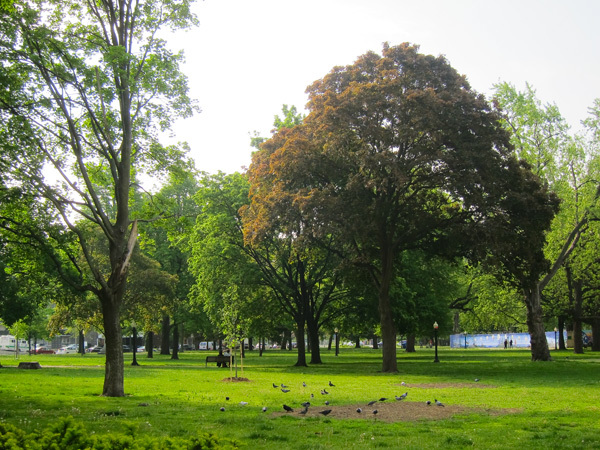 Additional land was added to the park's western section in the late 1950s, and J. Austin Floyd redesigned the landscape, adding a row of circular fountains east of the Palm House. 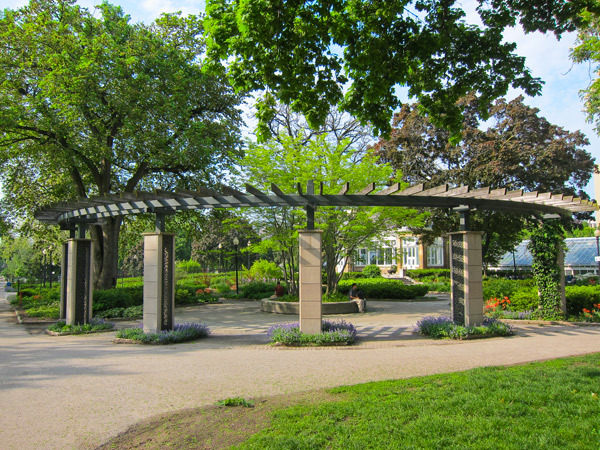 The fountains were replaced in 1995 with a pergola designed by landscape architect Robert Duguid. 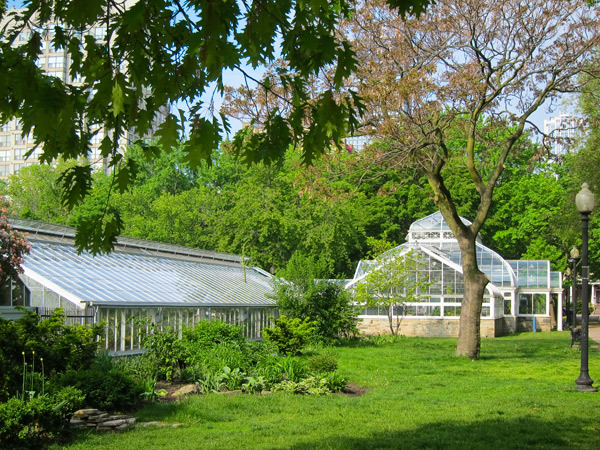 In 2004 a greenhouse constructed on the University of Toronto campus in 1931 was relocated to Allan Gardens, and in 2008 space was ceded at the site for two dog parks. 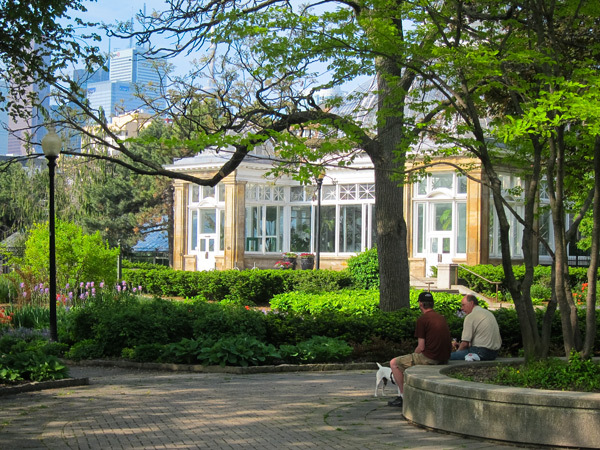 In 1986 Allan Gardens was designated a heritage property under the Ontario Heritage Act, and since 2002 the non-profit Friends of Allan Gardens has overseen the revitalization of the park.